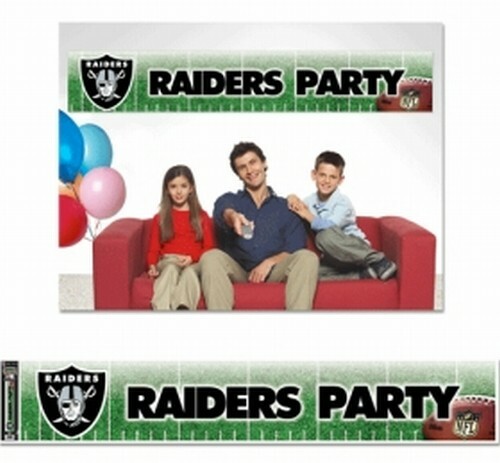 This officially licensed Oakland Raiders 12 x 65 party banner is durable for many uses. It is produced with a weather resistant non-tear material and is packaged in a roll for easy packaging and shipping. Made in the USA.